Disclaimer: I am essentially the cookie monster. I have quite the active sweet tooth and have finally decided to take a bit of a break from real food and make delicious, wonderful desserts. Let’s be honest: Vegetarian chili, chicken tortilla soup and buttermilk pancakes can only do so much against a well-crafted dessert. 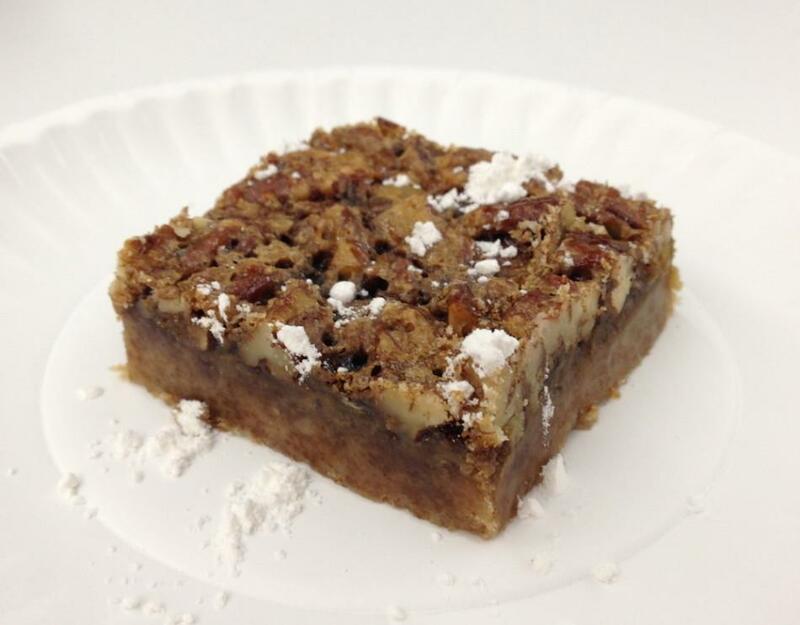 This week, I took over the kitchen in Allison Hall to combine two of my favorite dessert ingredients in the simplest dish I have ever made: maple pecan shortbread squares. One quick note: The maple syrup is essentially the main flavor in this dessert, so don’t get any crappy old bottle of sugary goop you usually use on pancakes. I’m talking 100 percent pure. I literally bought the most expensive bottle I could find (which was still only like $7.58). 2 cups shock and awe at how few ingredients there are – WOW! Preheat an oven to 350 degrees. Combine the flour and 1/3 cup brown sugar. Mix in the softened butter until a dough has formed. Press into an ungreased 8×8-inch baking dish and prick with a fork. Bake the shortbread in the preheated oven until golden brown, about 20 minutes. While the shortbread is baking, beat the egg in a mixing bowl along with 1/3 cup brown sugar, maple syrup and pecans. Pour the pecan mixture over the hot crust and return to the oven. Continue baking until firmed, 12 to 15 minutes. Remove from the oven and immediately run a knife around the edges to prevent sticking. Cool completely, then cut into 1-inch squares to serve. If you want to make it look fancy, sprinkle a tiny bit of powdered sugar over the top and on the plate around each square.